Albury, Friday. The Governor-General Lord Stonehaven, and his A.D.C., Captain Broadhurst, returned to Albury last night after spending some days at Khancoban, on the Upper Murray. The party was quartered for several days at the Waterfall Farm. During the early part the trip was enjoyable, and fruitful in regard to trout captures. However, this week there was exceptionally heavy rain in the mountains. 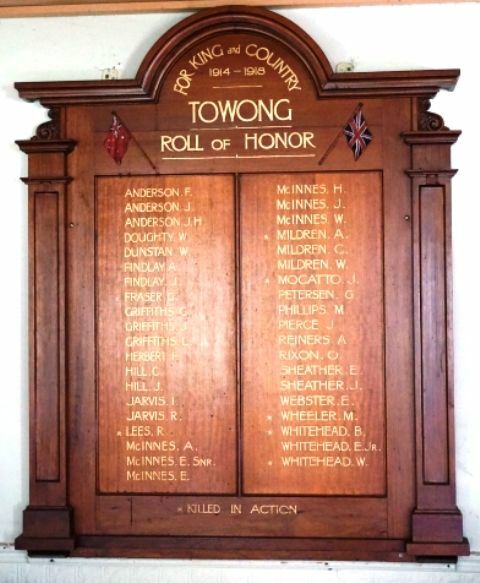 On Wednesday Lord Stonehaven unveiled an honor roll in Towong Memorial Hall. The party left for Melbourne this morning. Daily Telegraph (Sydney), 22 January 1927.